Newly published research suggests that a specific diet called the MIND diet may reduce the incidence of brain disease that increases a person’s risk in developing Alzheimer’s disease. The recent study shows that the MIND diet lowered the risk of Alzheimer's by as much as 53 percent in participants who adhered to the diet rigorously, and by about 35 percent in those who followed it moderately well according to a paper published online on March 19 in the journal Alzheimer’s & Dementia: The Journal of the Alzheimer’s Association. Developed by Martha Clare Morris, PhD, a Rush nutritional epidemiologist and her colleagues, the MIND diet is a hybrid of the Mediterranean and DASH (Dietary Approaches to Stop Hypertension) diets. Both diets have been found to reduce the risk of cardiovascular conditions, like hypertension, heart attack and stroke. Some researchers have found that the two older diets provide protection against dementia as well. The MIND diet includes at least three servings of whole grains, a salad and one other vegetable every day — along with a glass of wine. It also involves snacking most days on nuts and eating beans every other day or so, poultry and berries at least twice a week and fish at least once a week. Dieters must limit eating the designated unhealthy foods, especially butter (less than 1 tablespoon a day), cheese, and fried or fast food (less than a serving a week for any of the three), to have a real shot at avoiding the devastating effects of Alzheimer's, according to the study. Berries are the only fruit specifically included in the MIND diet. “Blueberries are one of the more potent foods in terms of protecting the brain,” Morris said, and strawberries have also performed well in past studies of the effect of food on cognitive function. 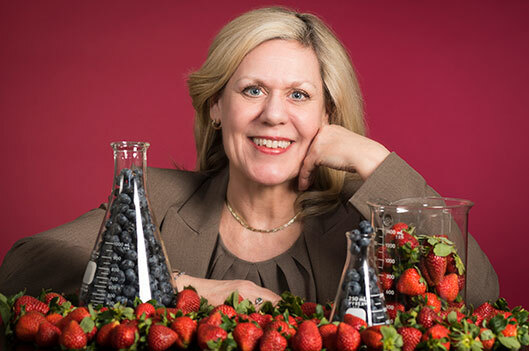 Morris and her colleagues developed the MIND diet based on information that has accrued from years’ worth of past research about what foods and nutrients have good, and bad, effects on the functioning of the brain over time. This is the first study to related the MIND diet to Alzheimer’s disease. Alzheimer's disease, which takes a devastating toll on cognitive function, is not unlike heart disease in that there appear to be “many factors that play into who gets the disease,” including behavioral, environmental and genetic components, Morris said. “With late-onset AD, with the older group of people, genetic risk factors are a small piece of the picture,” she said. Past studies have yielded evidence that suggests that what we eat may play a significant role in determining who gets AD and who doesn’t,” Morris said. The study was funded by the National Institute on Aging. All the researchers on this study were from Rush except for Frank M. Sacks MD, professor of cardiovascular disease prevention, Department of Nutrition, at the Harvard School of Public Health. Sacks chaired the committee that developed the DASH diet.